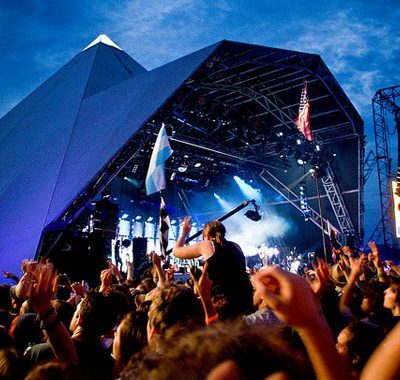 Festival season is once again upon us and whether you’re going to Glastonbury, Reading or Beach Break you will be starting to think about what you should take with you. The rule of thumb for packing for a festival is: less is more. Chances are the car park will be a long way from the campsite (with Glastonbury it could literally be miles) and you will have to carry everything you need with you on your back. To avoid feeling like a pack mule, follow these simple steps to make sure you bring only the necessities and don’t end up collapsing halfway there. Tent – Although you will have visions of lying in the baking hot sunshine and only crawling into your tent in the wee hours of the morning, the reality is that there’s a good chance it might rain. For this reason, pop-up tents are not a good choice because they are not water-proof at all and offer very little protection against the elements. If there are only 2 of your sharing then buy a two man tent, as tents are very heavy and you don’t need to carry the extra weight. Toilet roll – If you don’t bring any, then you will not be using it for the duration of the festival. A torch – To avoid tripping over guide ropes in the middle of the night. Waterproof coat and trousers (and wellies) – They might not look very cool, but when the heavens open everyone else will be very jealous when you are warm and dry. Water bottle – There are always free water points at festivals and this will save you a fortune on drinks. Sun cream and a hat – You will not want to have heat stroke in a tent. Food – The cost of hot food at festivals is always astronomical (around £8 for a burger) so ideally you should bring your own food (and a camping stove if possible). However, if you decide to take your chances and buy everything on site then you should still bring lots of dry food like cereal bars, biscuits and crisps in case the food stands are just too far away. Miscellaneous items – Bin bags (to tidy up afterwards), gaffa tape (to mend the hole in your tent), wet wipes (a festival must), a large flag (so you can find your campsite again amongst the thousands) and paracetamol (even if you don’t have a headache in the morning, someone else definitely will). The best way to store all your festival gear is in a big rucksack, as then you can sling it on your back and have your arms free to carry everything else. Below are a few tips for packing everything you need into one bag. Rucksack – The best kind of bag to use is a big hiking rucksack, as these always have lots of ties and clips on the edge to attach things to. Buy some extra clips as well so you can attach your tent and sleeping bag to the outside as well, this will make your rucksack incredibly heavy but easier to carry in the long run. Get organised – Before you start loading your rucksack, lay everything out on the floor so you can decide what the essentials are. This is the time to make deep cuts- do you really need all of those shoes? Or two comedy onsies? Decide what you really need and get rid of the rest, otherwise your bag will be almost impossible to lift. Packing – Try rolling all of your clothes up into tight sausages and even consider securing them with an elastic band. Put all the heavy things towards the middle and then fit your rolled up clothes around them. Ideally, take shoes with laces so you can be tied to the outside of the rucksack. Put the things that you are going to need first (sun lotion, water bottle, extra jumper) at the top so you can get them out without turning your rucksack upside down. Hopefully these hints and tips will help you to pack everything you need for the best festival experience ever, and how to store it in your rucksack so it all makes it to (and from) your campsite! If you go to festivals every summer and don’t want your camping gear filling up the spare room for the rest of the year, then why not store it all with us. Prices start at £5 a week and at the moment, when students store for 8 weeks with us, they get the first 4 weeks free! Come and speak to the friendly Storage Giant staff in Newport, Cardiff or Swansea to find out more.